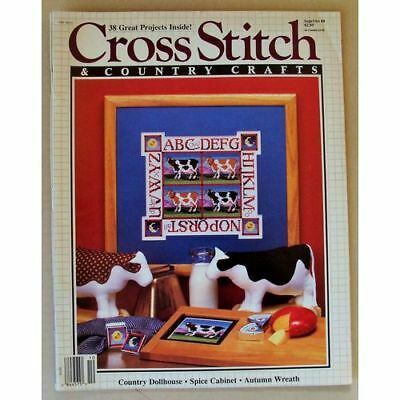 Sept/Oct 1988 Cross Stitch & Country Crafts Magazine. This used magazine is in good used condition. It has 31 pages & I will be including lots of other cross stitch Surprise Patterns pages + a free surprise sealed 1990 Sampler kit by The Creative Circle.